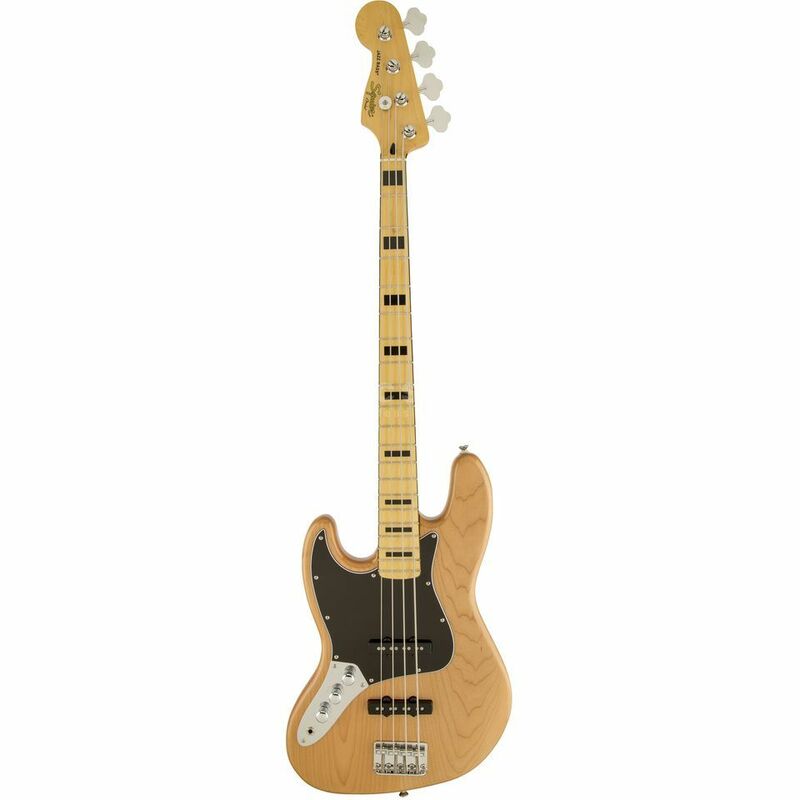 The Squier Vintage Modified Jazz Bass ‘70s Left Handed in Natural is a left-handed four-string bass guitar with a distinctive 1970’s look and sound. The Squier Vintage Modified Jazz Bass ‘70s Left Handed features a soft maple body with a polyurethane finish, all in the classic Jazz Bass body shape. The neck, also made of maple, is cut with a ‘C’-shape neck profile and topped with a maple fingerboard decorated by striking black block inlays, reminiscent of the vintage Jazz Bass look of the 1970s. The Squier Vintage Modified Jazz Bass ‘70s Left Handed has a pair of Fender-designed Single-Coil Jazz Bass pickups in the bridge and middle positions, which can be controlled by dedicated Volume controls and a shared Master Tone control. The pickups provide a classic Jazz Bass sound, perfect for rock, blues and jazz. The Vintage Modified Jazz Bass ’70s Left Handed is equipped with a four-saddle Standard bridge and Standard Open-Gear machine heads, all in chrome. The body has a Candy Apple Red finish and a three-3ply black pickguard.